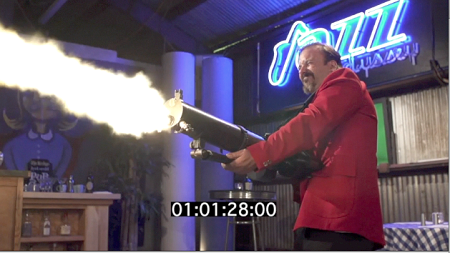 Stunt-man Luke Lafontaine shooting our "red Tip" 8mm in an MG15 in Machinima Picture's, "Lobo." If you require fewer than the full 90 rounds, see our 45 round package. 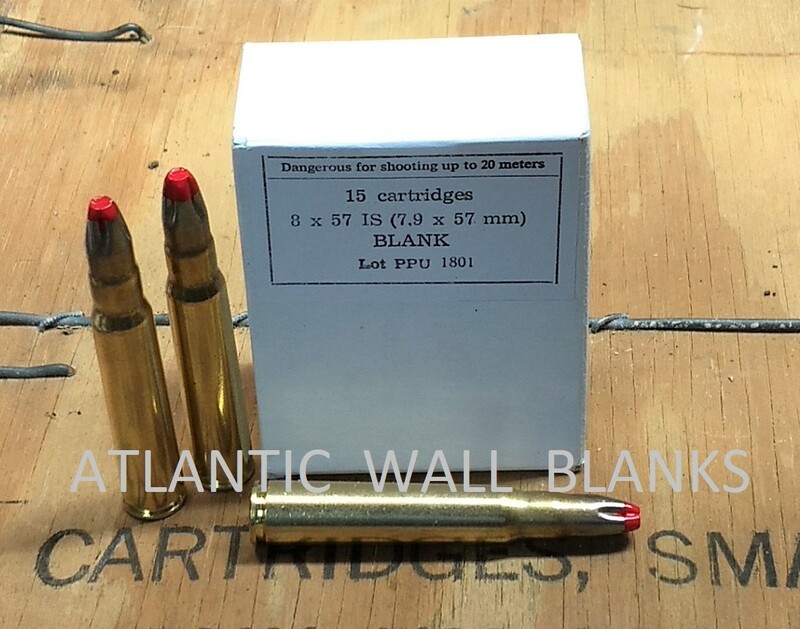 Full length "red tip" 8mm blanks made to full military spec. Perfect for picky bolt actions, FG-42's, G-43 rifles as well as full and "semi-auto machine guns" with little to no feed modification required. If this blank doesn't work nothing will. New manufacture full flash blank makes this one of the best film blanks we carry. This blank is very loud. If you do not need a blank with as much sound we recommend our "standard" 8mm. Contact us for BFA sizes for different weapons.